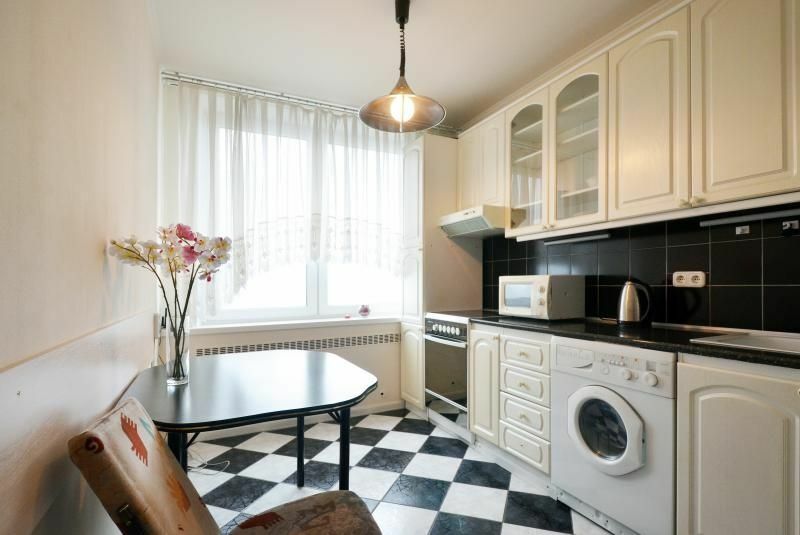 MINIMUM STAY DURING WORLD CUP SEASON IS 7 NIGHTS On the 11th floor of 24-storey building you can rent an excellent studio apartment with panoramic views of New Arbat. 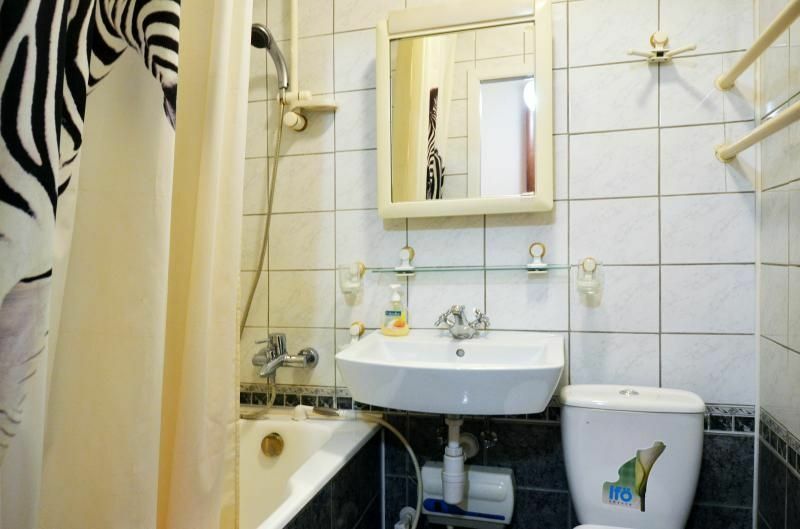 Renovation, air conditioning, fully equipped kitchen will create comfort for residents (up to 4 people), so as the apartment has a double bed and a comfortable sofa. Alternatively, there is a chair that can also be unfolded. The apartment is equipped with everything needed for a comfortable stay . A full set of bed linen and towels . The price includes one set of clothes . Additional set costs 200 rubles for the entire stay. Sleeping spots: 2+2. 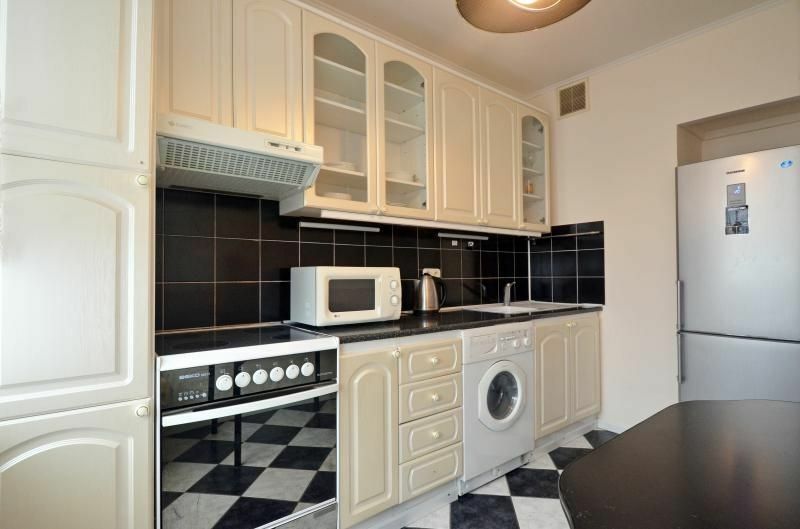 Appliances: TV set, refrigerator, telephone, microwave oven, electric kettle, iron, washing machine, DVD-player, unlimited wifi internet connection. Apartment cleaning and change of linen free of charge once a week. 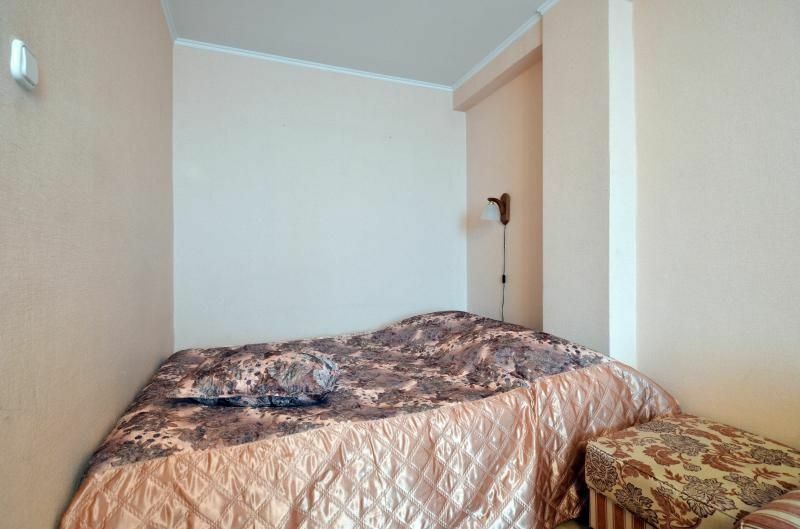 The cost of additional cleaning of apartment and change of bed linen - 500 rubles. Transfer (taxi service) Meeting at the airports Sheremetevo 1,2, Domodedovo 40 EUR Seeing-off to the airports Sheremetevo 1,2, Domodedovo 40 EUR Meeting at the train station 20 EUR Seeing-off to the train station 20 EUR. 11 24- , . , , ( 4- ), - . , , . . . . 200 . . : 2+2. : , , , , , , , wifi . . 500 . : 1600 . , 600 . . .